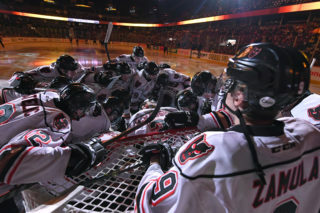 And so, another Hitmen season is in the books. The Hitmen wrapped up their regular season schedule Sunday afternoon at the Scotiabank Saddeldome, falling to the Edmonton Oil Kings 7-3. Sunday marked the final game for 20-year-olds Nick Schneider, Jakob Stukel and Conner Chaulk. 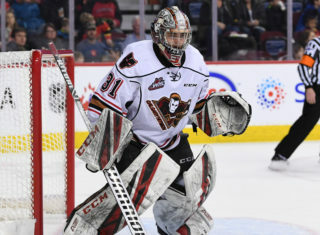 Riley Stotts, Cael Zimmerman and Egor Zamula provided the Hitmen markers, while Nick Schneider finished with 19 saves in his final WHL career game. 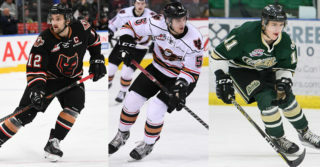 Tomas Soustal and Matthew Robertson both scored twice to lead Edmonton, while Trey-Fix Wolansky, Brett Kemp and Colton Kehler added single markers. Todd Scott made 34 saves to pick up the win. Although the Hitmen didn’t end the last game of the season the way they would have wanted to, the spotlight was all on the overagers as game 72 of the 2017-18 season marked the last time this group will be in the same locker room. Stukel ended his final season in the WHL by setting a new career high in goals with 37, assists with 28 and finally points with 65. Schneider meanwhile set new records with most appearances by a goaltender with 61, to break the previous franchise record of 60, while also setting a new franchise record for minutes played in a single season eclipsing Fomitchev’s previous mark of 3,371 and breaking the single season saves record. 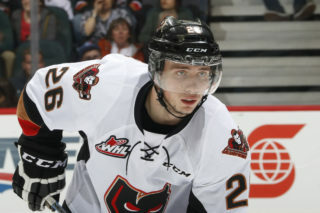 Conner Chaulk joined the Hitmen back in November and had year to remember with the club, as he also set new career highs in goals with 16, assists with 15 and points with 31. The forward sat out the last two games of the season due to injury but that didn’t stop him from sharing one last moment with his teammates. 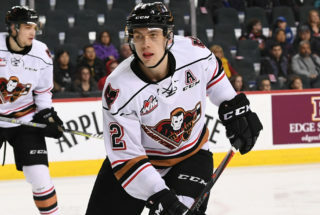 The Hitmen will now wait for the start of the 2018-19 season, missing the post-season for the first time in seven seasons, but before the players go back home for the summer, there was one more lesson given to the young group.